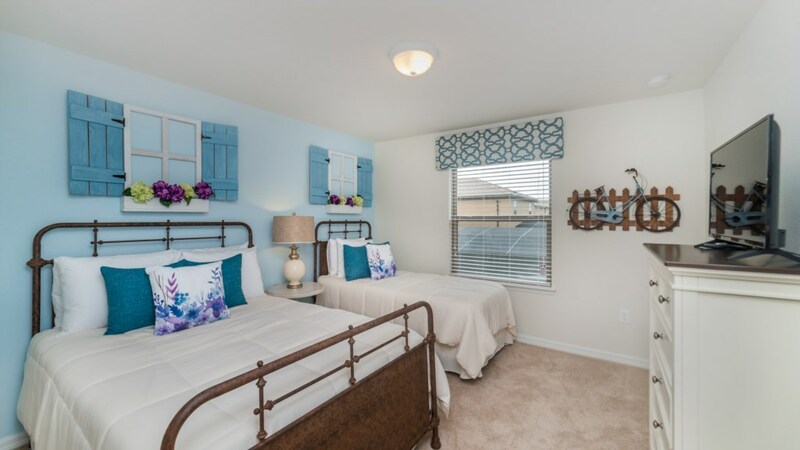 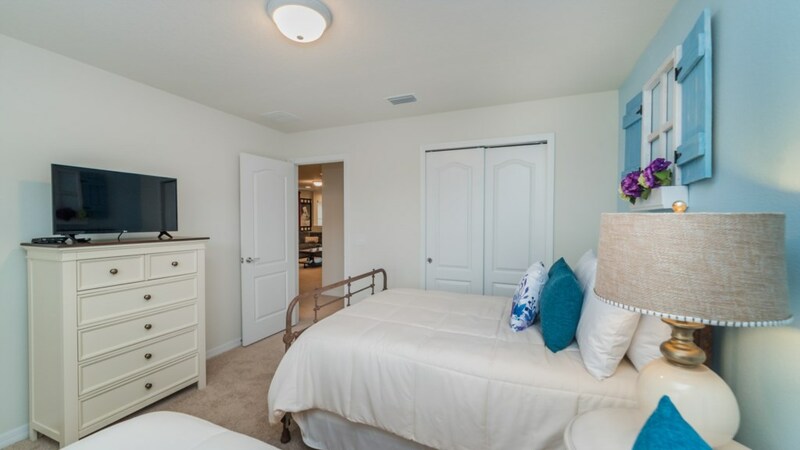 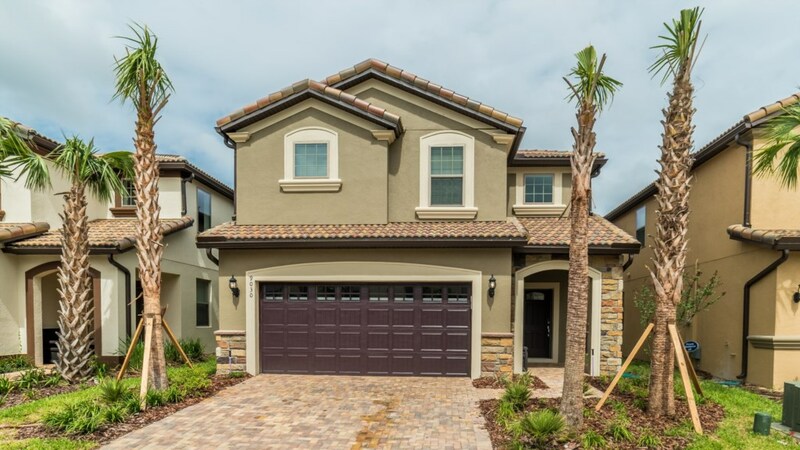 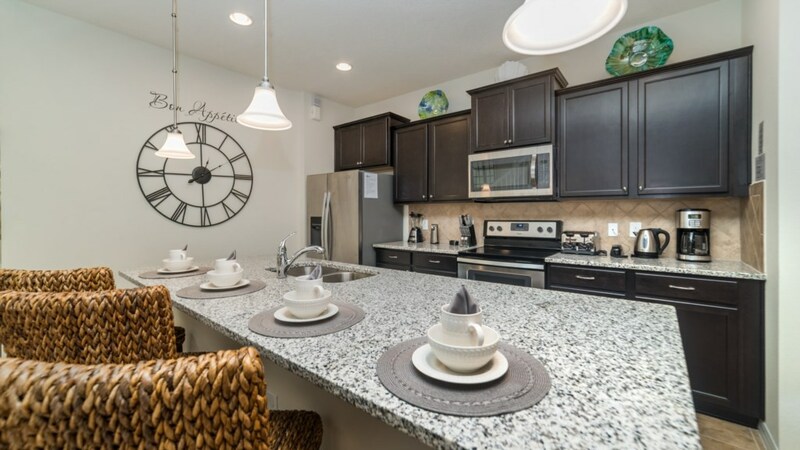 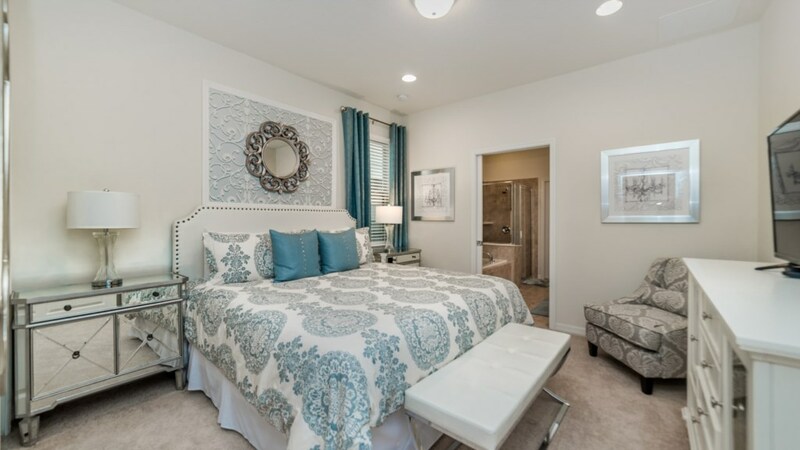 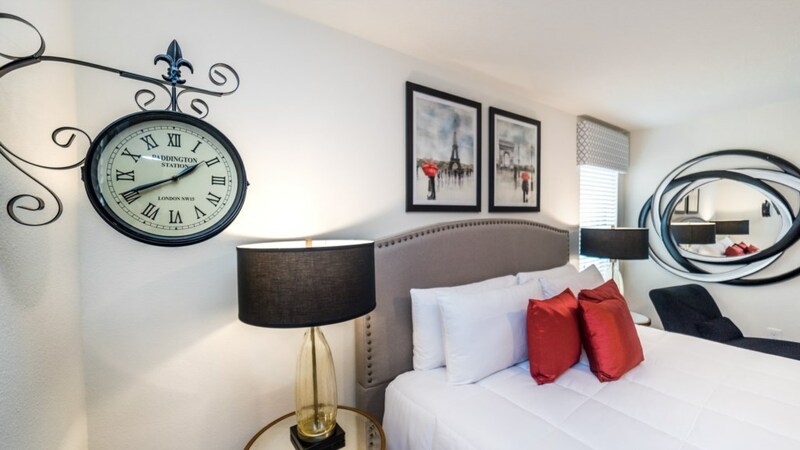 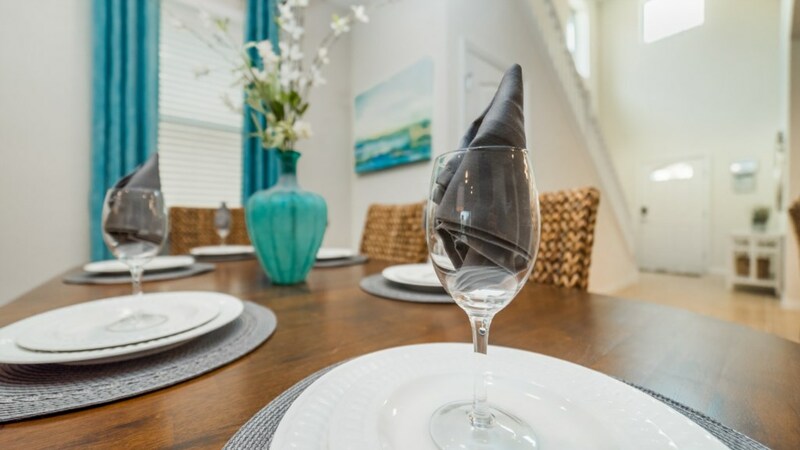 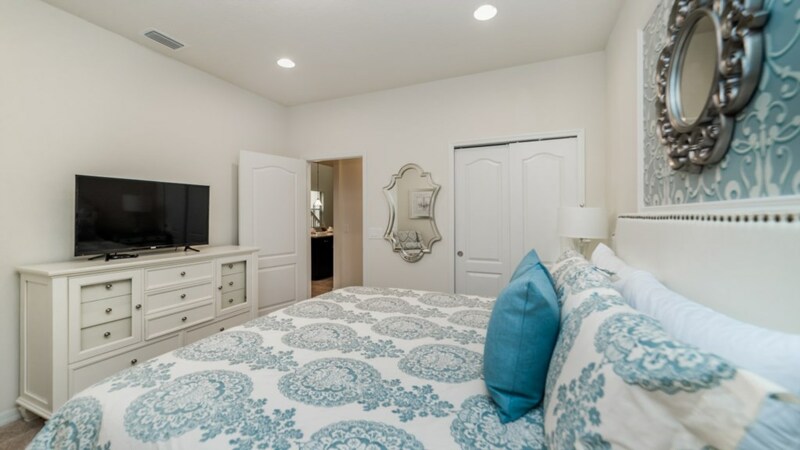 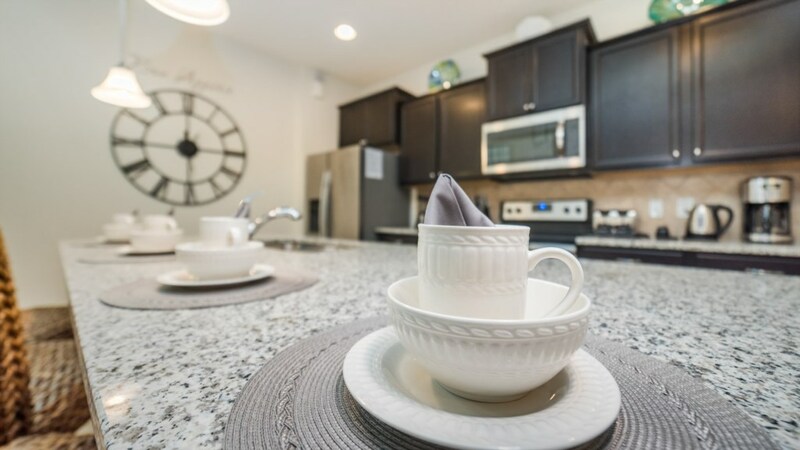 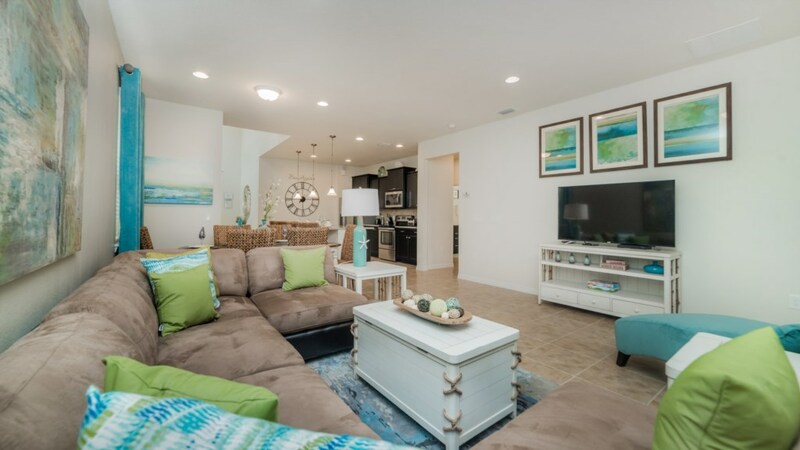 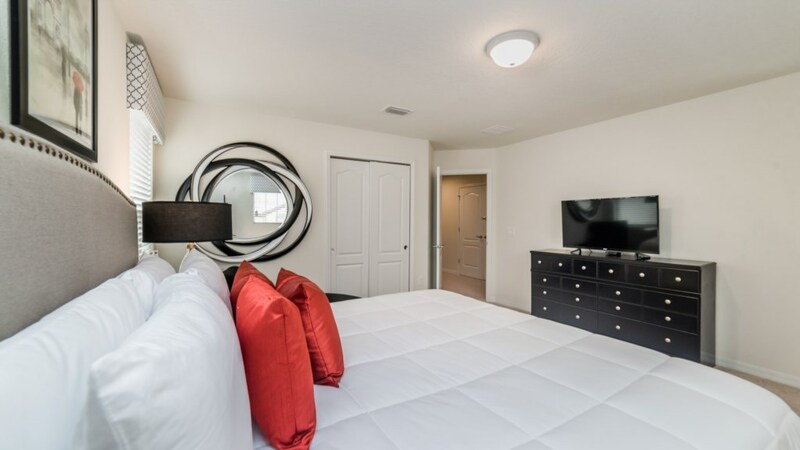 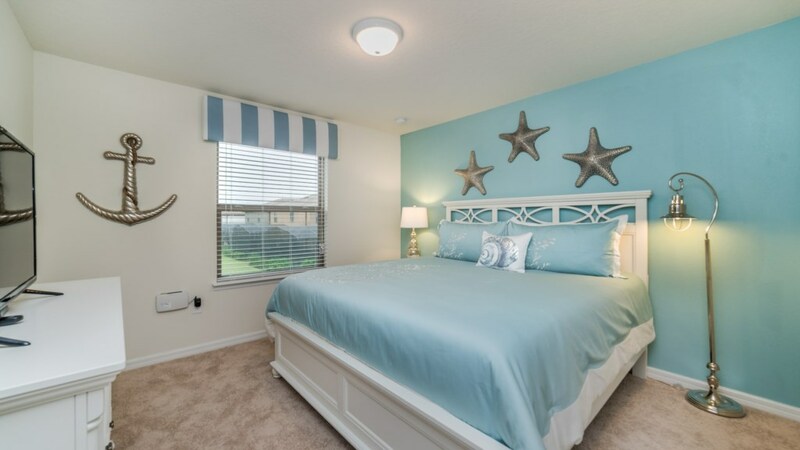 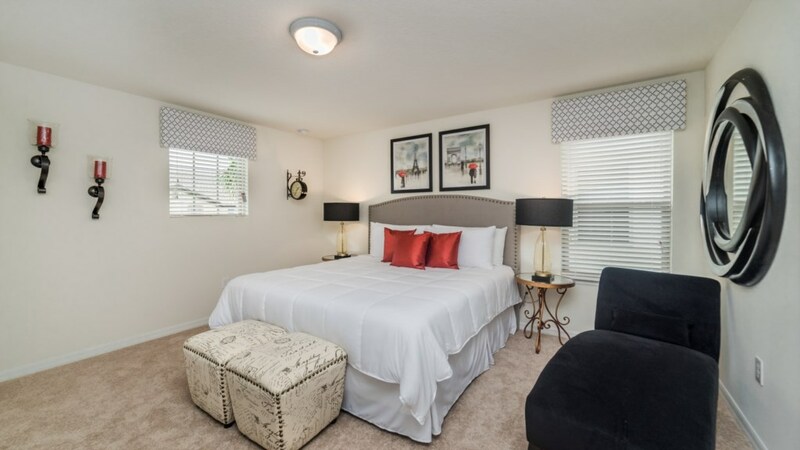 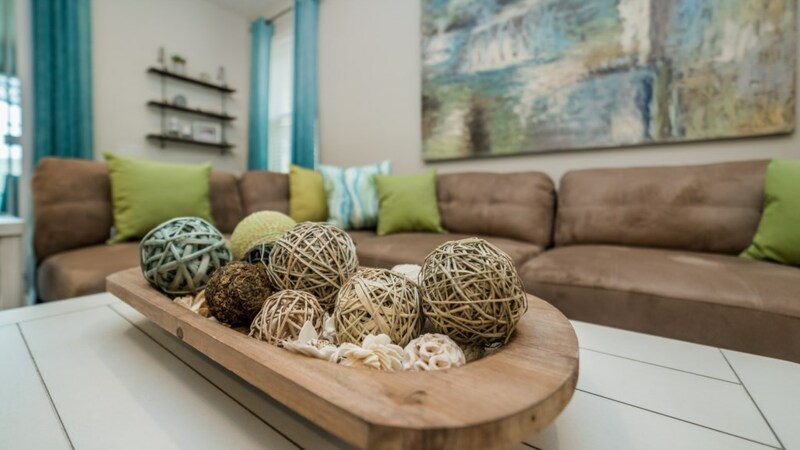 Welcome to your dream vacation home located in Windsor at Westside! 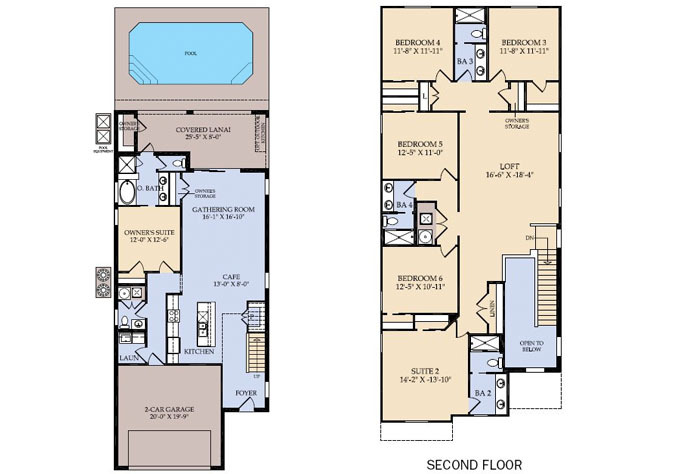 This 6 bedroom, 4.5 bathroom sleeps 12 perfectly and is pure luxury. 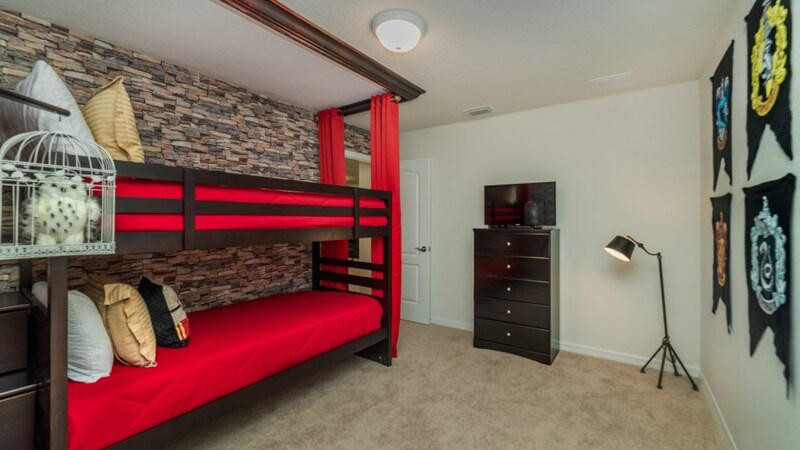 This home has 3 king bedrooms, 2 rooms with a twin and double and then one room with twin bunkbeds. 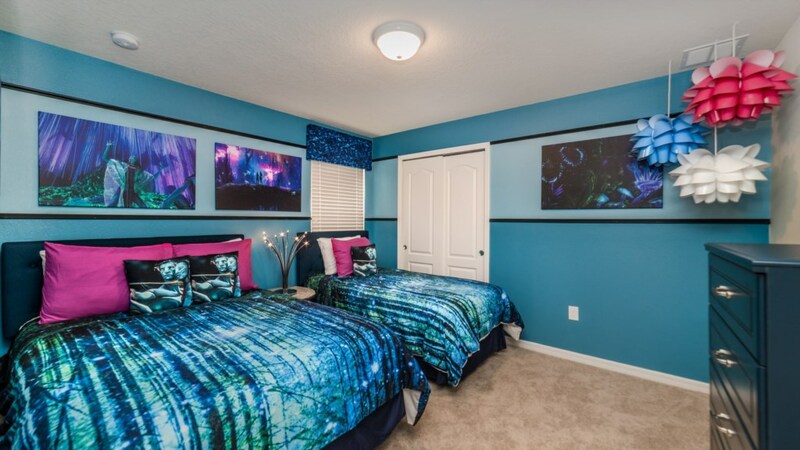 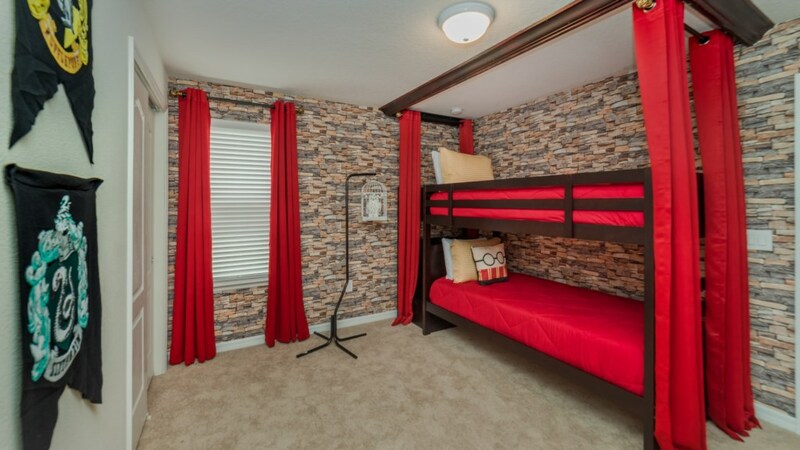 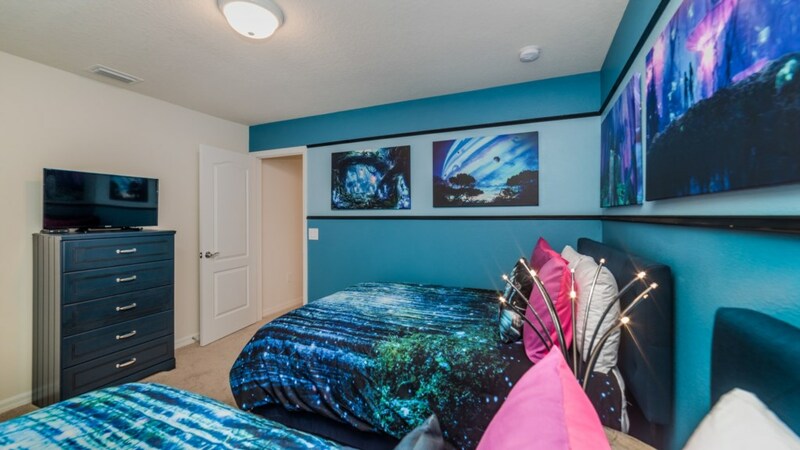 The bedrooms are really fun for the kids with a Harry Potter theme as well as an Avatar theme. 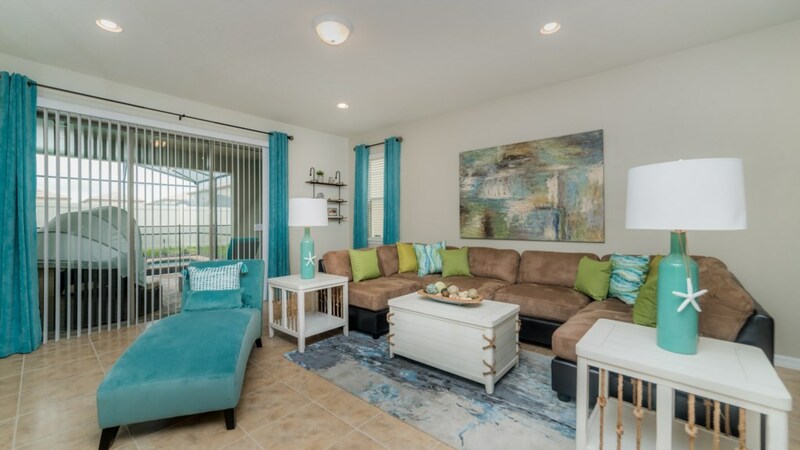 The living room was designed with comfort in mind. 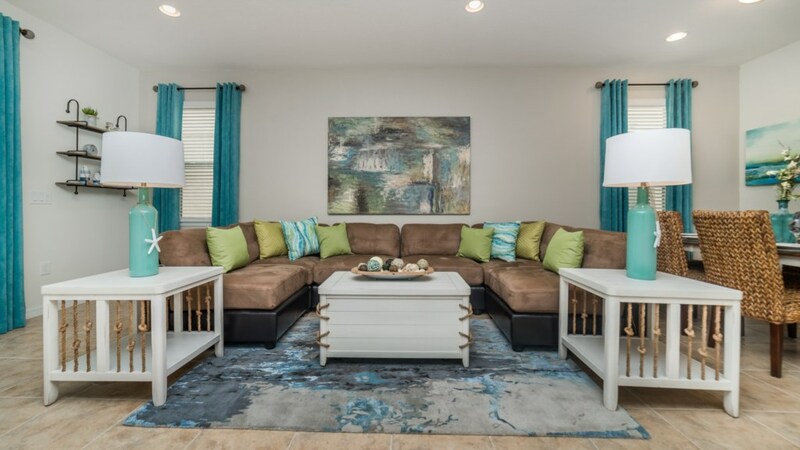 A 55” TV, wraparound couch and lounge chair are all there for you to relax. 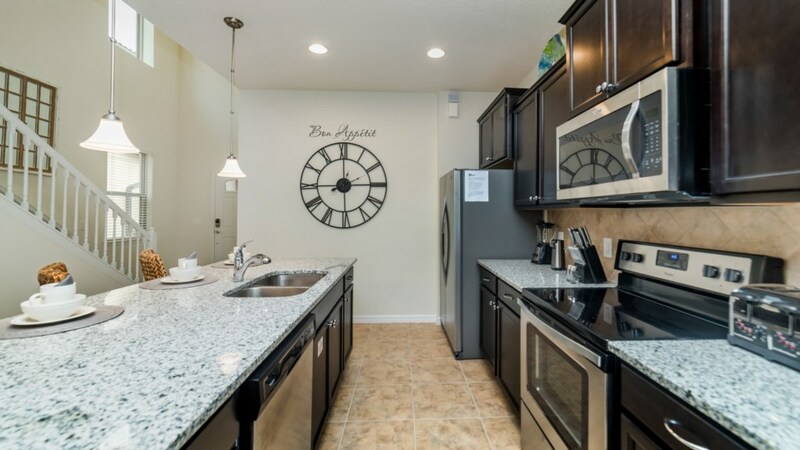 The kitchen in this home boasts granite countertops, wood cabinetry and stainless steel appliances, which gives it an over-the-top luxury feel. 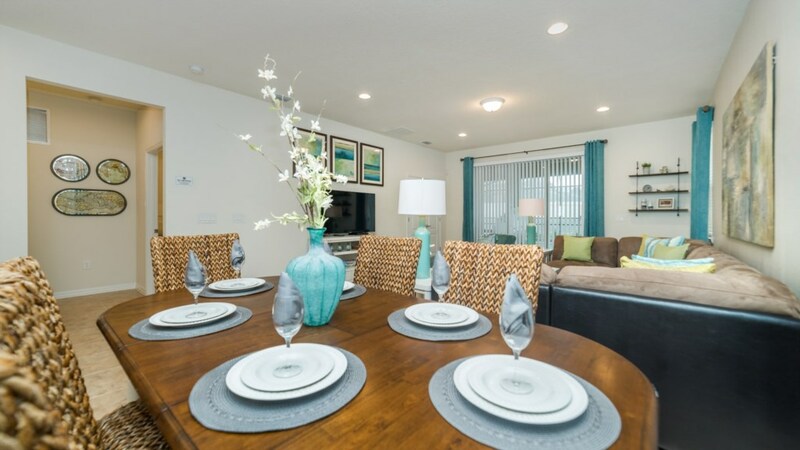 Serve up all meals here as the family chef will feel like a professional cooking here. 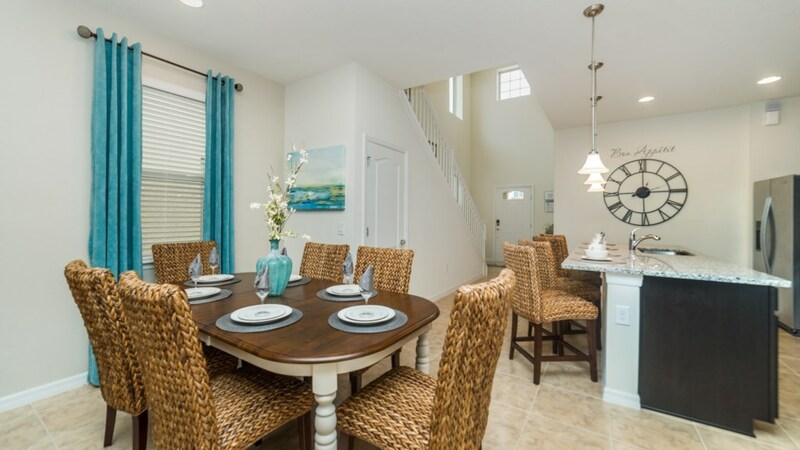 The dining room table seats 8 while the breakfast bar seats 4. 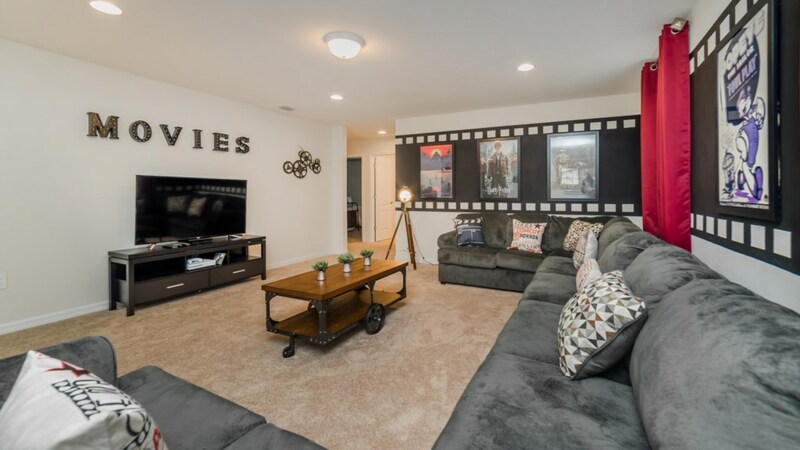 Upstairs there is a loft which serves as the perfect place for movie nights. 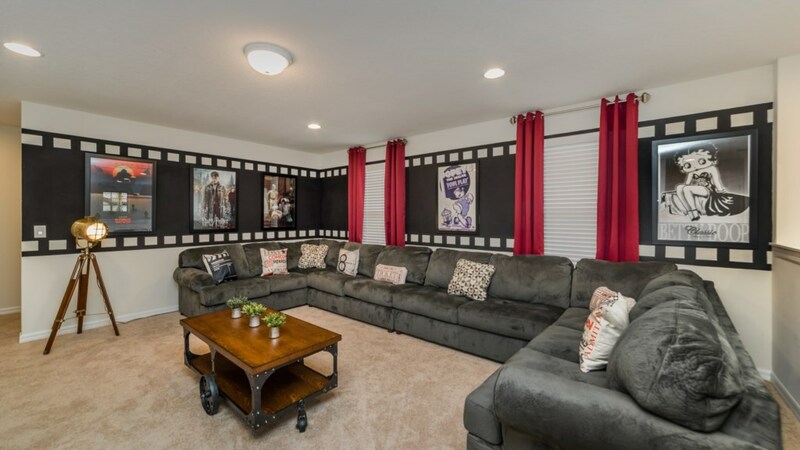 A giant couch and 55” TV will be the best spot to catch up on your favorite movies. 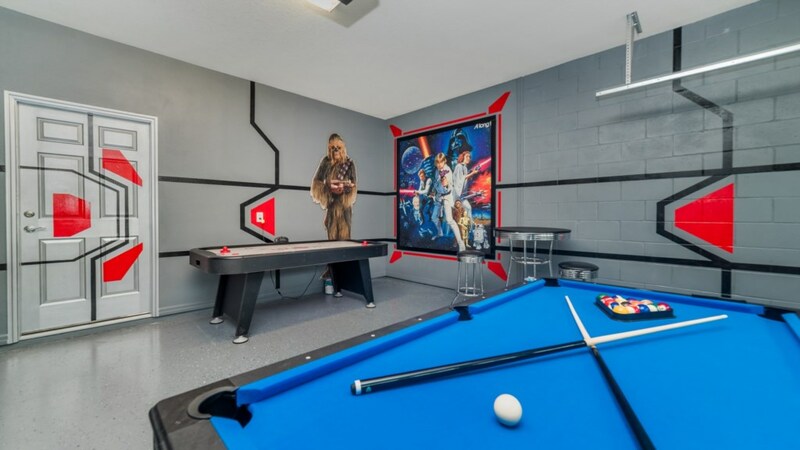 The game room downstairs is all Star Wars and all fun. 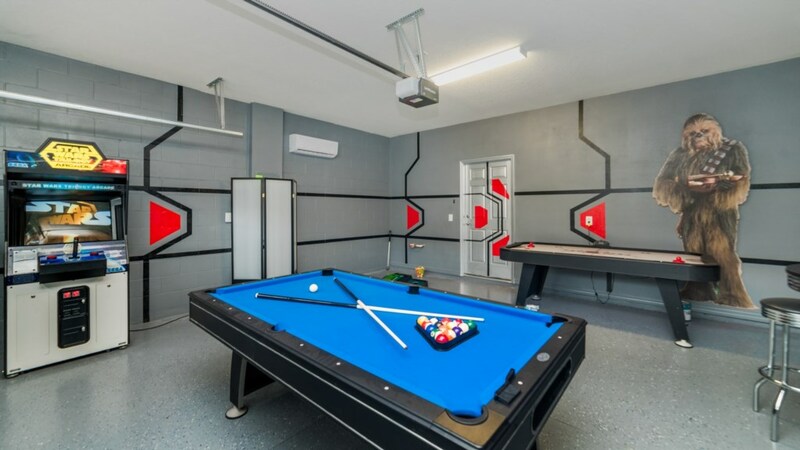 Air hockey and billiards tournaments will be endless here. 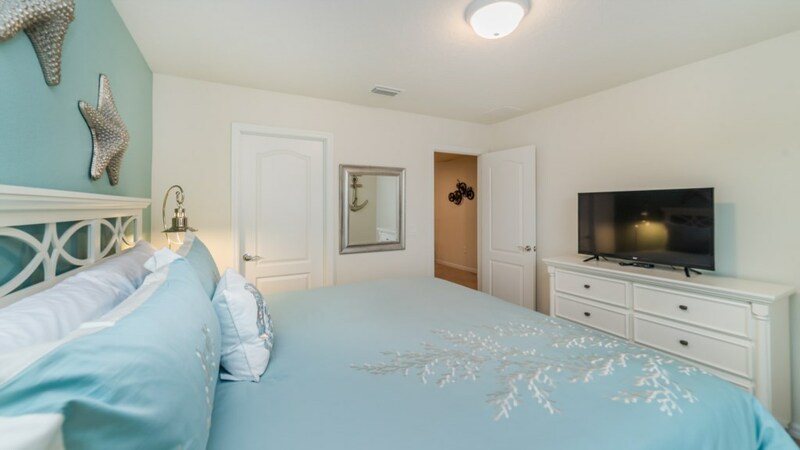 Lastly, head out back and enjoy the gorgeous pool and spa. 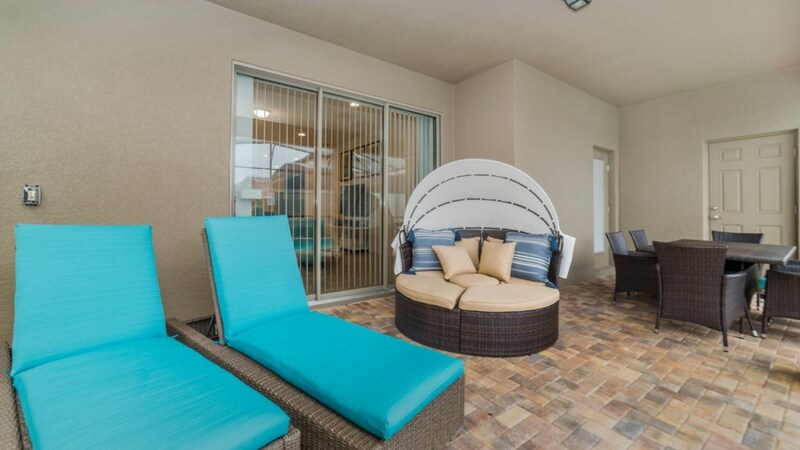 Day beds, pool chairs and an outdoor dining set outline the pool area, ideal to enjoy all day.